Tana Amen:	I'm Tana Amen. Here, we teach you how to win the fight for your brain to defeat anxiety, depression, memory loss, ADHD, and addictions. Welcome back. We're talking about Memory Rescue, and we are on T in bright minds. We've been talking about bright minds through this series. Dr. Daniel Amen:	B is for blood flow, R is retirement and aging, I is for inflammation, G is for genetics. We just finished H for head trauma. Tana Amen:	Toxins, and this one is like, oh my gosh, it goes on and one. We could, like, live on this one. We've been remodeling our house so, dear lord, we've had to leave several times. I'm surprised any of those guys actually can carry on a coherent conversation. Tana Amen:	They're nice guys, stop that. Dr. Daniel Amen:	So many people hate contractors? Because they're not consistent. I mean, ours are better than most. Tana Amen:	Yeah, no they are, yeah. Tana Amen:	We have good contractors and it's frustrating, dear lord. Yeah, it's hard. Dr. Daniel Amen:	All right, so your brain is the most metabolically active organ in the universe. Right? 2% of your body's weight uses 20 to 30% of the calories you consume, 20% of the oxygen, 20% of the blood flow. Any toxin that gets into your brain damages it because it's so metabolically active. When you think toxins, what's the first thing that comes to your mind? Tana Amen:	The first thing? Dr. Daniel Amen:	The first thing. Tana Amen:	Like, 50 just popped in my head. Pesticides. Dr. Daniel Amen:	Pesticides, because they kill gut bacteria. Tana Amen:	Right, and they're everywhere. Dr. Daniel Amen:	That's a bad thing, and gut bacteria actually help to detoxify your body. Tana Amen:	Well, and it's not fair because they're on food for so long without us being told or without knowing or without understanding what they do. You know? Dr. Daniel Amen:	Right, I mean, when you go to a restaurant, unless it says organic, you can assume it has pesticides in it. Tana Amen:	Right, and they're in the air. Dr. Daniel Amen:	Okay, so what else? Pesticides. Tana Amen:	Cosmetics, so many cosmetics are toxic. Dr. Daniel Amen:	What do they have in it? Phthalates. Dr. Daniel Amen:	Parabens. Well, lipstick, 60% of the lipstick sold in the United States has lead in it. Tana Amen:	Yeah, especially the long wearing. Dr. Daniel Amen:	I call it the kiss of death. Tana Amen:	The long wearing stuff, yeah, it's pretty crazy. 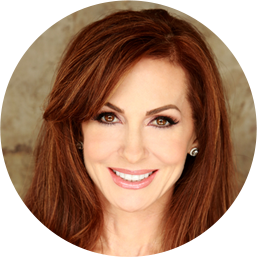 Dr. Daniel Amen:	I'm more likely to kiss you if you don't have lipstick on, but you have lead free lipstick. Tana Amen:	I do. I stopped wearing the long wearing one. I heard that statistic, it's crazy. Plus, they have gluten in them, it's pretty nuts. Dr. Daniel Amen:	PBAs from water bottles, PCBs that are ubiquitous in this society. General anesthesia can actually be toxic. Tana Amen:	Yeah, BPAs also line most cans, so canned food you have to be careful of, so it's in our food supply like crazy. Dr. Daniel Amen:	Alcohol, which many people think of as a health food, I think of it as a toxin, just because of what I've seen, the evidence I've seen on the imaging work we do here at Amen Clinics. Drug abuse, smoking, air pollution. We both grew up in Los Angeles. I grew up in the San Fernando Valley. Do you ever remember smog days? Tana Amen:	Oh, yeah. I mean, I left there when I was pretty young, but I still remember it. Dr. Daniel Amen:	Shouldn't go out and play during those days, clearly bad for your brain. Water pollution, mold from buildings or from your house. We are totally freaked out and worried about Florida and Houston with the recent hurricanes. All of those places that got flooded, there's going to be mold problem for decades. Tana Amen:	We don't even think about the fact that, we live by the coast and in places where people live by the coast and tend to leave their doors and windows open a lot, even Hawaii, you just tend to get a lot more mold. Dr. Daniel Amen:	It can get moldy. In fact, some people remember my dad's story, that about three years ago he got sick. Well, they had mold in their house. They live by the beach, and he then developed a chronic cough and then a heart arrhythmia, and then heart failure. I remember one day, I would never curse at my father, but when they were remediating his house for mold, he used to go there every afternoon just to watch television. I walked in one day and I was so mad at him. Tana Amen:	He's a pretty stubborn guy, yeah. Dr. Daniel Amen:	It's like, "What the F is the matter with you?" Tana Amen:	You can't say that. Dr. Daniel Amen:	I did, I just did. I was not okay with sitting in the mold. You know? Tana Amen:	Privately owned planes. Dr. Daniel Amen:	Small plane is getting lead. We actually did a study on 100 pilots and found toxicity in their brain in about 80 of them. Dr. Daniel Amen:	How do you know if you've had toxic exposure that increases your risk of memory problems? SPECT scans can really help. We see that toxic bumpy appearance, which means we have to go figure out why. Having liver enzymes tested, because it's a major organ of detoxification. If your liver's not right, odds are you have more toxins. Checking out your kidney function is critical. We also do hair, urine, heavy metal screens for things like mercury and lead and aluminum and arsenic. There's another blood test called TGF beta that helps us suspect whether or not you've had mold. The treatment for this is limit your exposure. End the exposure. That means things like, buy organic. If you're going to have to pump your own gasoline, make sure you're down wind of it, because gasoline is clearly toxic to [inaudible 00:07:08]. Tana Amen:	I usually start to pump and get back in my car. I just get back in my car. Tana Amen:	I know, you're so funny. Dr. Daniel Amen:	They have plastic on them, and what that means is you're getting the BPAs in your body, because whatever goes on your body goes in your body. Tana Amen:	Well, no one thinks that. They touch their face, they do whatever. Dr. Daniel Amen:	No one thinks about it, and so when people want to give me the receipt I'm like, "No, I got it on my phone, don't worry about it." I don't like touching receipts. I know, you think I have OCD. I don't. Tana Amen:	No, I just tell them either put it in the bag or tear it up for me. Actually, I guess I shouldn't tell other people to tear it up either. Should I? Dr. Daniel Amen:	You want to limit alcohol to one or two glasses a week. It's not a health food. It's related to seven different kinds of cancer. It decreases judgment, and you don't want to eat or drink out of plastic containers. There's a wonderful app. A couple of companies make it, I like the one called Think Dirty. Tana Amen:	You just like the name. Dr. Daniel Amen:	I do. Dr. Daniel Amen:	It's true. Tana Amen:	I actually like Skin Deep a lot. Tana Amen:	You like Think Dirty. Dr. Daniel Amen:	There's also, ewg.org has an app called Healthy Living. Tana Amen:	Which is, Skin Deep is theirs. 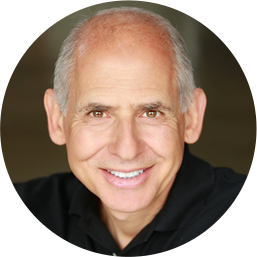 Dr. Daniel Amen:	What you can do with these apps is actually scan all of your personal products. You remember when I did that? Dr. Daniel Amen:	I came home and I said, "Here, download this app," and you looked at me because of the name. I'm like, "It's clean, I promise you." It's called Think Dirty, and we scanned all of our products. We were horrified. It'll tell you on a scale of one to 10 how quickly they're killing you. I always liked Soft Soap, the body wash.
Tana Amen:	I know, and I loved the Bath and Body Works, but it's not good either. Dr. Daniel Amen:	On a scale of one to 10, one being healthy, 10 being kill you early, that Soft Soap was a nine, and I was horrified, horrified. Tana Amen:	Sunscreens and hairsprays are the worst, like the worst out of all of them. Dr. Daniel Amen:	You should download the app and scan all of the products, you know, the barcode on the products in your bathroom. Just decide, you love yourself, you don't love yourself. If you don't love yourself, who cares? Put the toxic stuff on your body. If you love yourself and you want to live a long time with a healthy brain and you don't want to get dementia, you need to make better choices. Tana Amen:	It's really interesting, because they are not very good. Most of the cosmetics that are all natural aren't that great. There are some that are really great, there's most of them that I have found, not that great. For filming days, if I'm going to wear something that I know is not amazing, I do the best I can, find the least toxic, save that for days that we film. Then I just wear the other stuff when I know I'm not going to be seen that much or whatever. Mostly what I have found is I find myself not wearing makeup. Even though I think to myself, "Okay, that doesn't look very good," I'm like, "so what?" It's just not worth it. Dr. Daniel Amen:	Yeah, but it does look good. Tana Amen:	Well, thank you. It's just not worth it. Dr. Daniel Amen:	I didn't marry you for the makeup. Tana Amen:	I know you didn't, and I love that about you. I really do. Dr. Daniel Amen:	I really want you to stay around for a long time. Tana Amen:	Right, and the more healthy you are, the more vibrant you look and the better you feel. It's just not worth it. Dr. Daniel Amen:	Then, it's critical to support the four organs of detoxification. Support your liver, which means don't poison it, limit alcohol. The supplement I like is N-Acetylcysteine. I put it in Brain and Memory Power Boost. It's also in Craving Control, because NAC has been shown to decrease cravings. Tana Amen:	They give it to drug addicts. Dr. Daniel Amen:	Right, because it decreases cravings for alcohol, cocaine, compulsive gambling, marijuana. Tana Amen:	I know when people are going through DTs, they give it to drug addicts. Dr. Daniel Amen:	Support your liver, support your gut, which means add fiber. Support your kidneys, drink water, and support your skin by either sweating more with exercise or taking saunas. Tana Amen:	Let me just go a little deeper into that for one second. The water part, some people don't like the taste of it. In the mornings and in the evenings is when I focus on warm water with a little lemon, some fresh grated ginger, one little pinch of cayenne pepper, and maybe a couple of saffron threads. It's amazing. It actually tastes great, and a few drops of stevia. It tastes great, it's totally detoxifying. It's a way that makes it taste, it's got a little bite to it, and it's like sipping on something with a bite, it's really great. Then I sometimes at night I'll put a little tea bag in it that's one of my sleepy time teas, so it just relaxes you. It's a way to increase your fluids. Dr. Daniel Amen:	All of this information is in Memory Rescue. 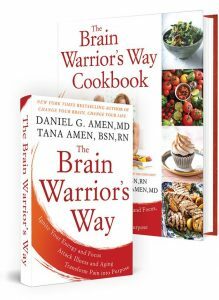 Dr. Daniel Amen:	We hope you get the book and watch the new show when it comes out. Let's talk about foods quickly. The supplements we talked about, NAC, also vitamin C and magnesium support your liver. Gut support, pre and probiotics. Skin support, grapeseed extract and green tea can be very important. Kidneys, it's water. For foods, to support your liver, this term I actually learned from a restaurant close to our house, brassicas, which is actually a term for detoxifying vegetables. Tana Amen:	Right, so things like Brussels sprouts and broccoli, which has sulforaphanes in it, which is one of the most potent antioxidants on the planet. Tana Amen:	Cabbage and cauliflower, those types of vegetables are great for detox. Dr. Daniel Amen:	Brussels sprouts. Dr. Daniel Amen:	Are you saying I forgot that? Tana Amen:	Yeah, you did. Tana Amen:	Those types of vegetables are really great for detoxifying. We just talked about the warm water that I talked about, and then my green juices. I do green juices in the morning, and I'll add a half of a beet. I don't like too much beet because it's too much sugar, but beet is really good for detoxifying your liver. Dr. Daniel Amen:	Beet increases blood flow, as we talked about. Dr. Daniel Amen:	Gut, you want to add more fiber in your foods. Skin, water, green tea, colorful fruits and vegetables, salmon, avocado, walnuts. Again, limit processed meats, limit salt, MSG, artificial dyes, sweeteners, and preservatives because they can be toxic to your body. So many things to the chapter on toxins in Memory Rescue, it's just one of the best things. You'll just think about it every day, because you want to love and keep your brain. Stay with us. ← Could You Have a Brain Injury and Not Know It?